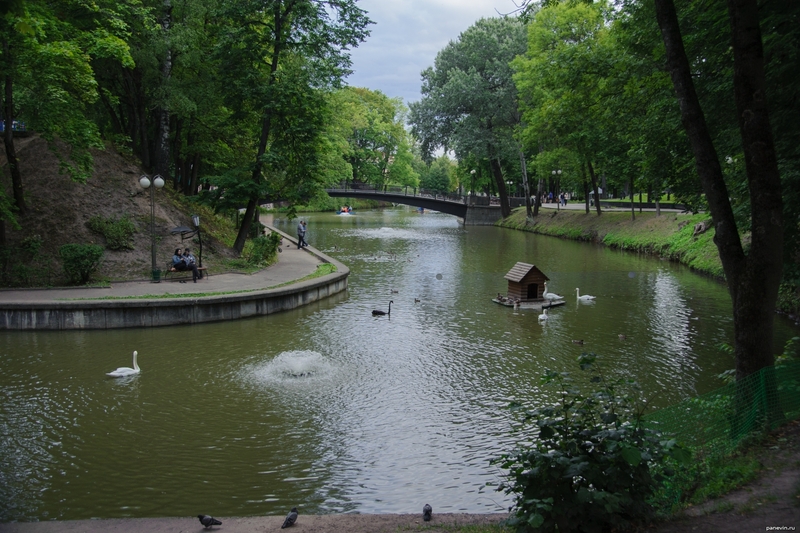 The main vacation spot Smolensk citizens — Lopatinsky park, which centre — Royal bastion, fragment of fortification and pond with swans. Let's walk! 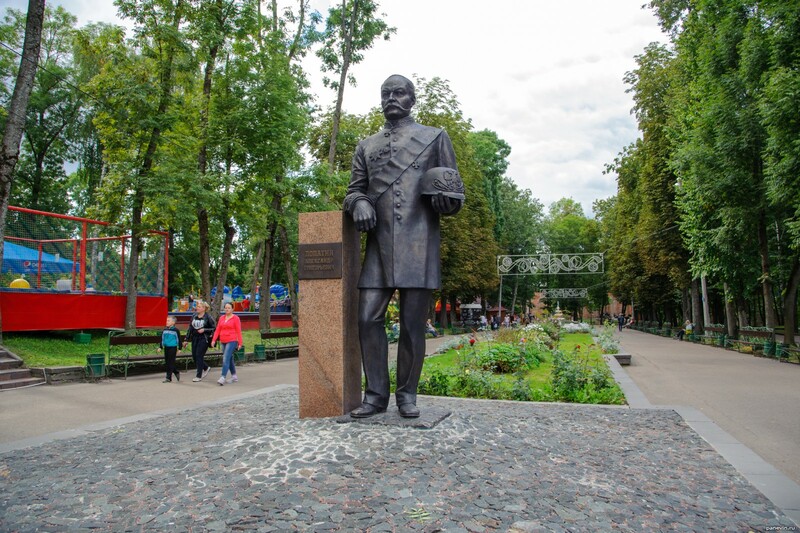 Monument to Lopatin, the governor of Smolensk, organised this park for townspeople. Grateful citizens have immortalised the governor by monument and named this park in it's honour. 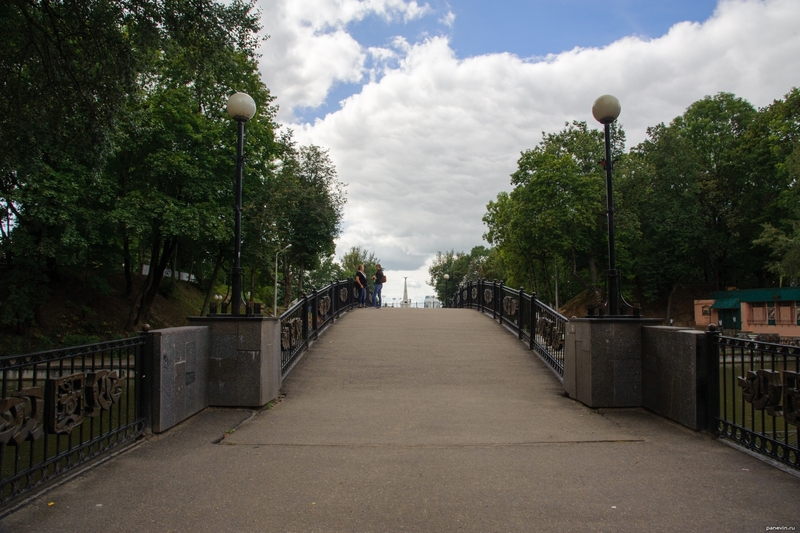 Lopatin meets visitors of park at an entrance. Afterwards small fontain and flower avenue. 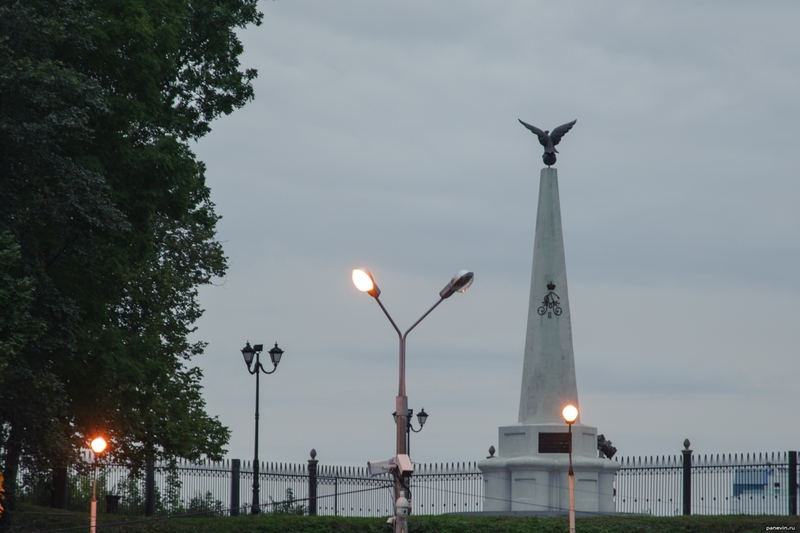 Monument to Sofia regiment in Lopatinsky park — one of Smolensk symbols. That is surprising, the author of the project — one of this regiment soldier. Sofia regiment has caused a stir at defence of Smolensk in war against Napoleon 1812 year, then with fights receded to Moscow, battled on Borodino and drove Frenchmen to Paris. 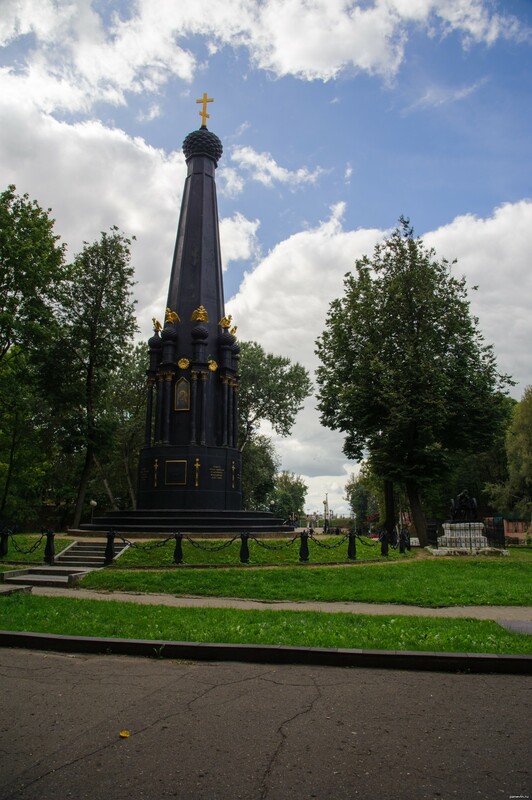 Monument to defenders of Smolensk of 1812 in Lopatinsky park. 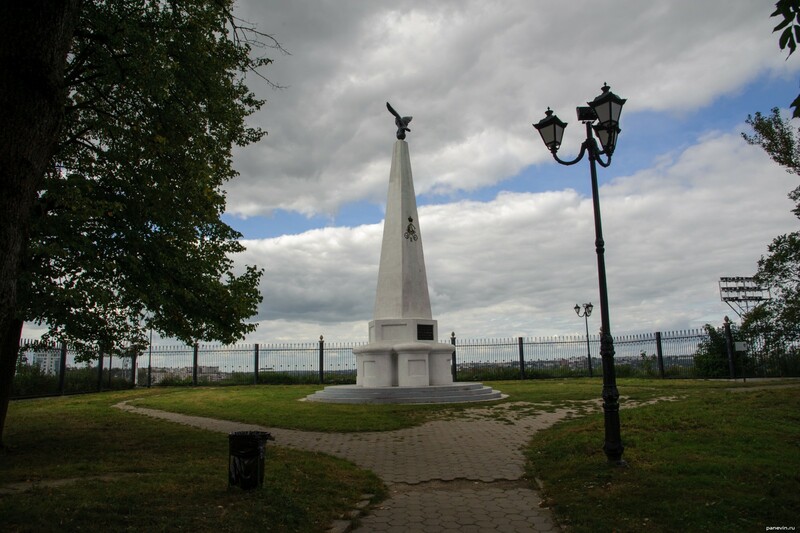 On a background monument to Sofia regiment. 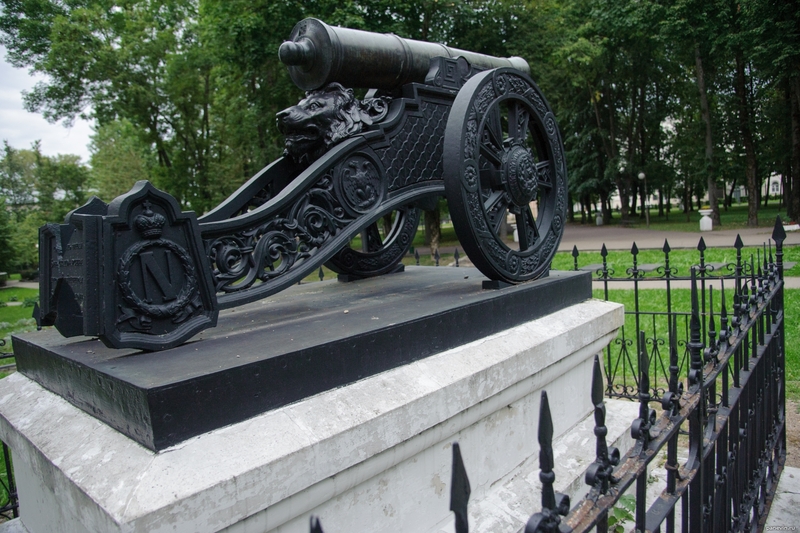 Monument with two copies of Napoleonic cannons, hardly demaged by vandals. 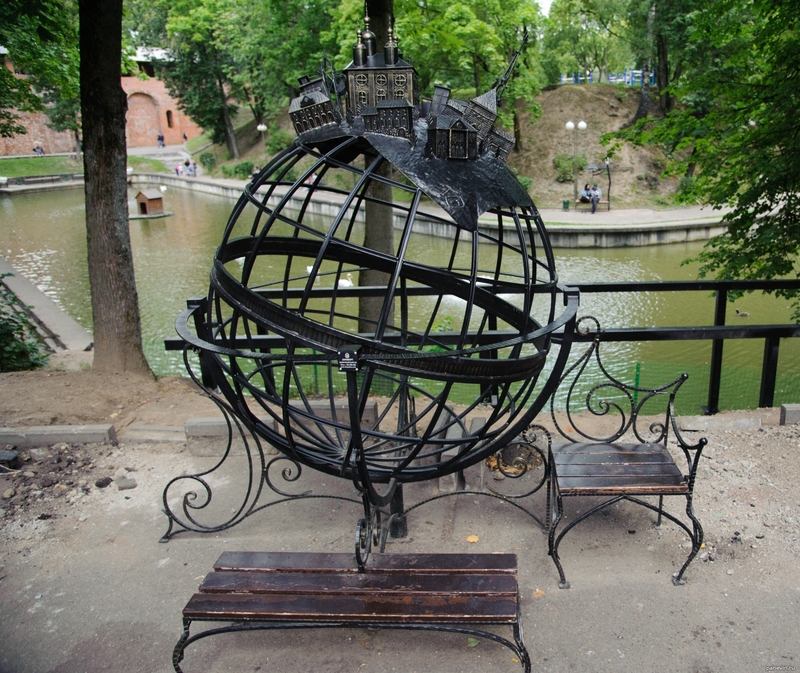 In the park a lot of various forging, for example — the globe of Smolensk. 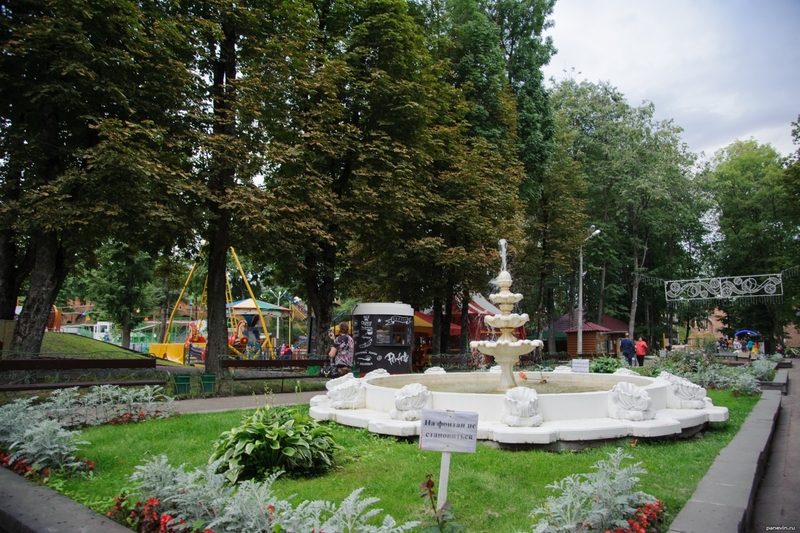 Nowadays a popular theme in many cities — letters «I love Smolensk». 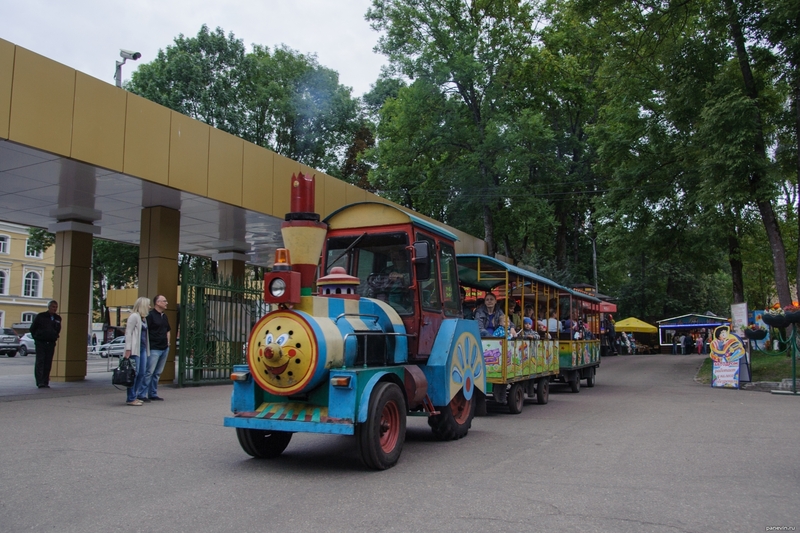 Children's tram, such steels to revive in many cities. 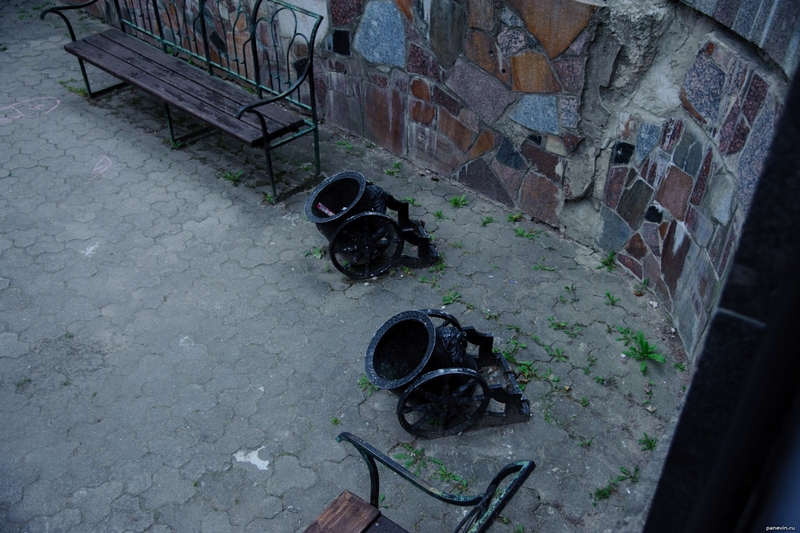 In Smolensk many fine urns, and many of them anyhow beat guns, mortars (city symbol). 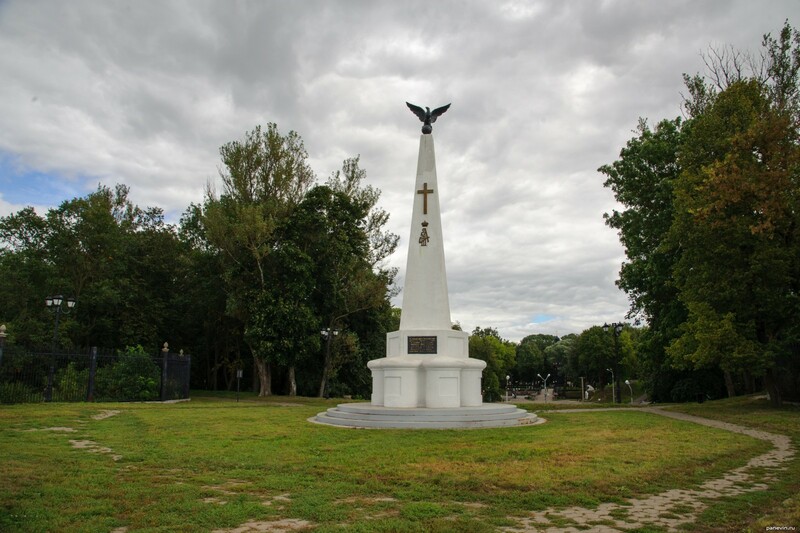 Monument to Sofia regiment, grew dark. Lantern at entrance holds the schedule of the nearest actions. 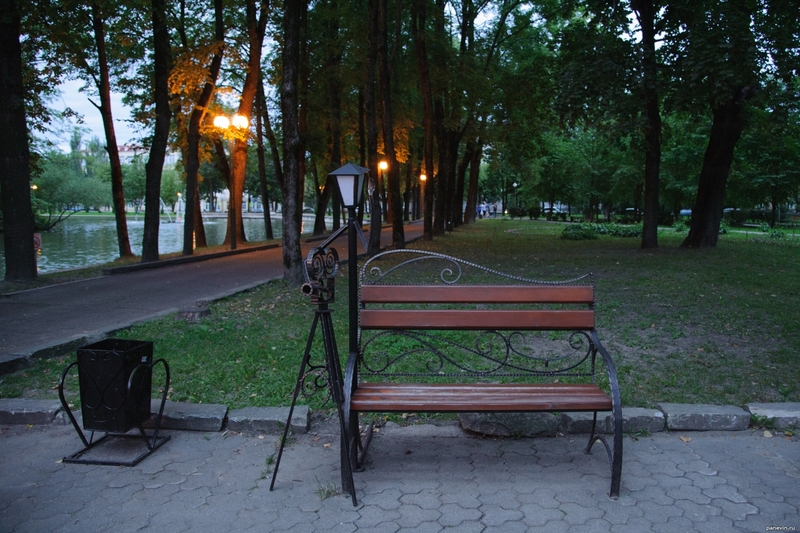 Bench and a lantern in the Lopatinsky park. 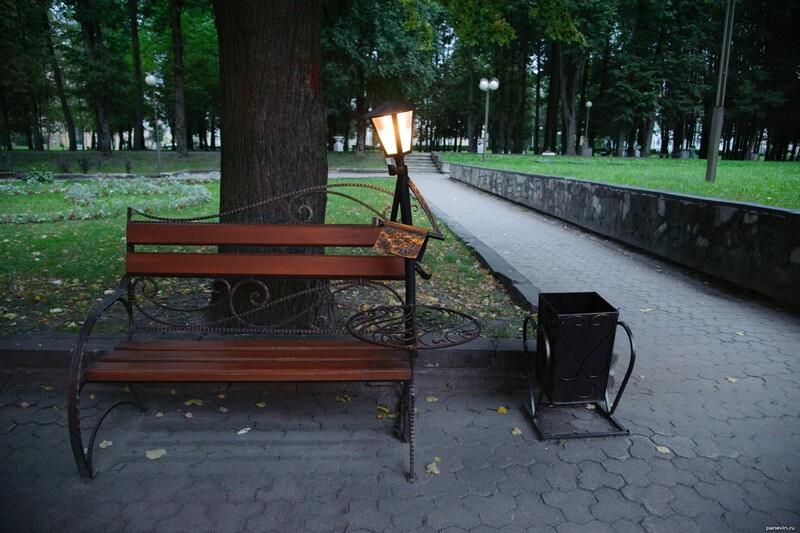 Lanterns amusing, and benches frankly poor and inconvenient. Tremendous idea — an orchestra of street lanterns! Simply and very attractively. 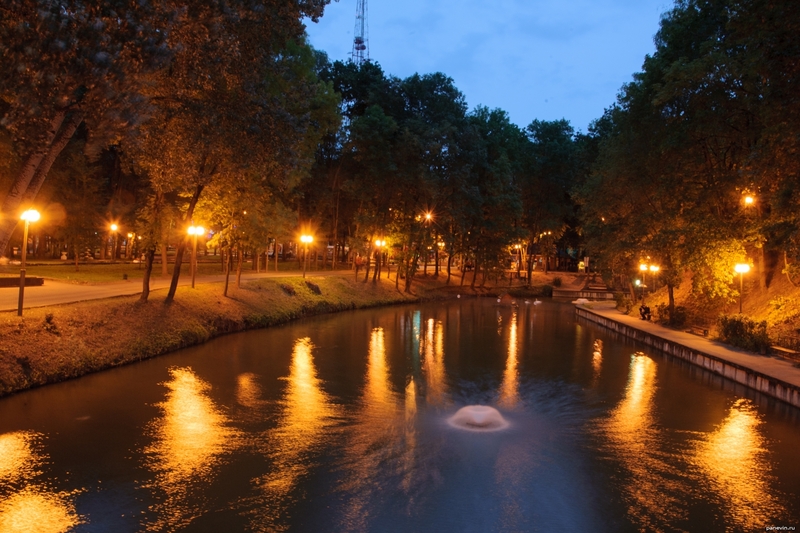 Pond in the Lopatinsky park, and me is time to be turned off and go further. 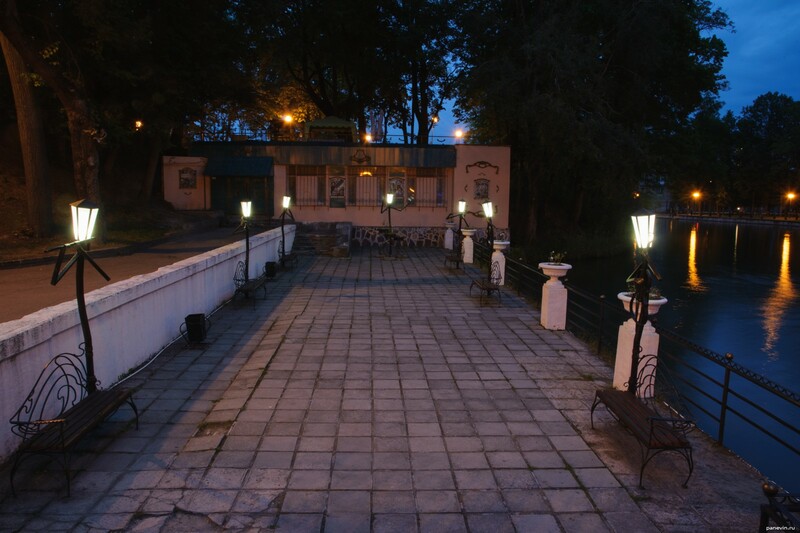 Modern photo Lopatinsky garden, Smolensk.